If you want to write an action movie, you need to listen to this podcast. Screenwriter Drew Pearce breaks down how he identifies themes, brainstorms set pieces and works through tense moments of Mission Impossible – Rogue Nation, all while hanging out at Tom Cruise’s house! So, how does this vetern screenwriter get started when it comes to one of the most lucrative movie franchises in the biz? He watched all the previous Mission: Impossible films with Tom Cruise. Sounds like a pretty cool day job. “One of the advantages of franchises is you’re trying to create your new one. The down side is that you have to beat the ones before, and the upside is you can look at them and see what you love,” says Pearce. Pearce has a story credit on the film, but the screenplay is credited to Christopher McQuarrie, who also directed the film and has a long credit list which includes Edge of Tomorrow, Jack the Giant Slayer, Jack Reacher, The Tourist and many others. Pearce’s job was to assist in breaking story, developing themes for the film, creating big action sequences and basically “get the ball rolling,” he says. “The first thing Tom did when started making this movie was, he walked into the room and he said, ‘This is what we need to remember right until the end.’ And he wrote the word fun up on the board,” Pearce says. The challenge of writing this kind of action on a micro level scene to scene and on the macro level for the whole narrative is a big game of believe with the audience. You require the audience to switch off the part of their minds that absolutely knows that everything is going to be fine at the end of this movie,” Pearce. ScreenwritingU sat down with the writer, who also penned Iron Man 3 to get the details on how to write a Hollywood blockbuster. Mission: Impossible – Rogue Nation opens July 31. 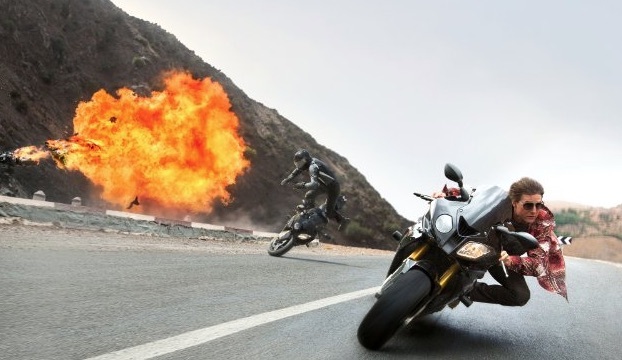 No Replies to "MISSION: IMPOSSIBLE - ROGUE NATION, a sit down with writer Drew Pearce"